Another Friday is upon us! The weekend lies ahead, which means it’s the perfect time for a decadent cocktail. This drink, like the chocolate raspberry martini, is typically served after dinner, as a dessert cocktail. With its gorgeous lilac color, I think it would be wonderful as the signature drink for a bridal shower or bachelorette party, or to get a girls’ night out started off on a fun note. The flavors in this cocktail are quite subtle, which I enjoy, although if you prefer sharper, stronger flavors, you could pump up the berry notes with some freshly-pureed raspberries. The martini is super smooth, rich and creamy, almost like melted vanilla/raspberry ice cream. This is the type of drink where the alcohol is barely noticeable,so be careful! I hope everyone has a wonderful weekend, + has the opportunity to relax, with this drink, or the cocktail of your choice. Shake all ingredients with ice in a martini shaker, strain into a chilled martini glass garnished with the crushed graham cracker mixture around the rim. Wowza…that looks good! I love drinks like this…pretty and yummy! the color is even prettier in person — a very pale shade of pinkish lilac. i really think they’d be wonderful for a girls’ night party, bridal shower, or bachelorette shower. they’re gorgeous *and* yummy. If we ever have cocktails together you bring this, I’ll bring key lime martinis and we’ll trade. YUM! now that is a plan i am 100% behind. cheers! 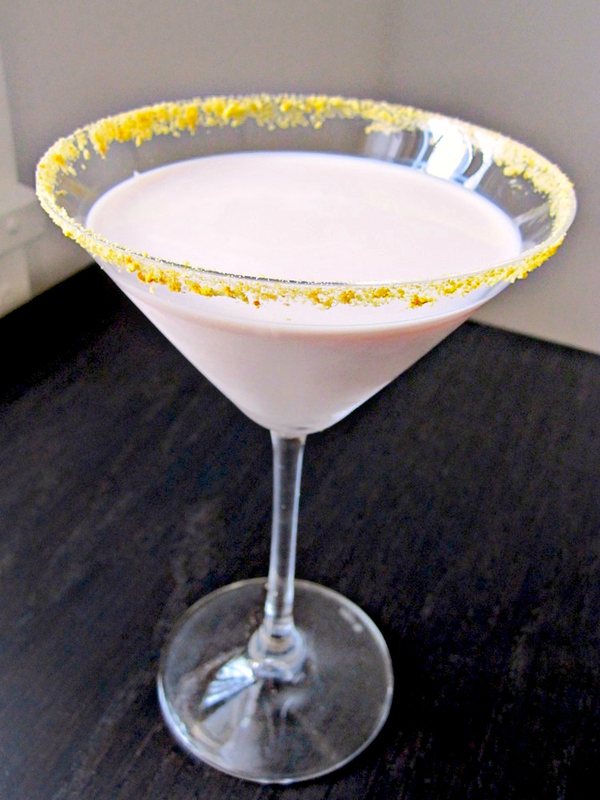 So I went out this weekend and had a cheesecake martini and raspberry one also I preffered the plain cheesecake one over the raspberry one.is there anyone out there that can help me with making one.at the bar the ingredients read vanilla liquor milk and hazelnut. Hi Peggy, I’d try substituting hazlenut liqueur instead of the raspberry liqueur listed here, if you remember the one you had having hazelnut as an ingredient. hope that helps! very frequently affect your placement in google and can damage your quality score if advertising and marketing with Adwords. Yummy!!! Thanks for putting down along with making process. Good one.